There’s a lot of angst in the North American Church about Millennials walking away from Church. The Millennial generation is typically considered as born somewhere in the early 80’s – 2000 or so. Instead of fretting about it, the other day I sat down with some millennials to actually talk to them about their views of Church. These were some of the take aways from the conversation. Millennials want community. They’re not as interested in being invited to the “weekend event” that we call a worship service as much as they are being invited into a real community where they can know others, be known, and have shared experiences together. Who on staff at your church is paid to wake up every day to think about millennials? A lot of churches pay a lot of people to do a lot of different things. Is your church willing to put its money where its mouth is and actually put money into this? Don’t start a new ministry designed to reach millennials. We’re not talking about doing youth group for young adults and segmenting them out apart from the rest of the church. Instead invite and involve them in the church. Listen to them and their ideas. Give them real responsibility, give them real opportunity to lead and influence the church. Research shows that millennials are most interested in marriage, parenting, and social causes (in that order). What is your church doing to help them navigate these issues and find real answers that will help them have a fulfilling marriage, become a better parent, and engage in real social causes? Is your church finding success reaching millennials? What are you doing that we all could learn from? Leave a comment! 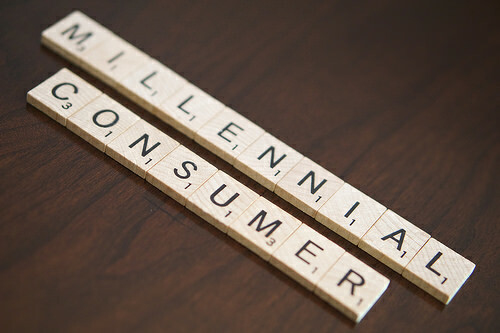 Interested in learning more about reaching millennials? Pick up the eBook “Reaching and Leading Millennials” by Tony Morgan and the Unstuck Group.